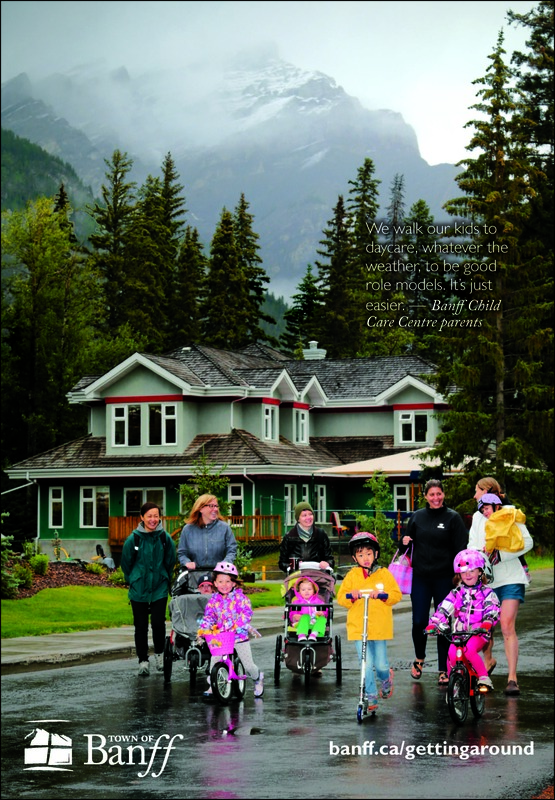 The Banff townsite is just 3.94 sq. kilometres, which means it's fairly easy to get around. 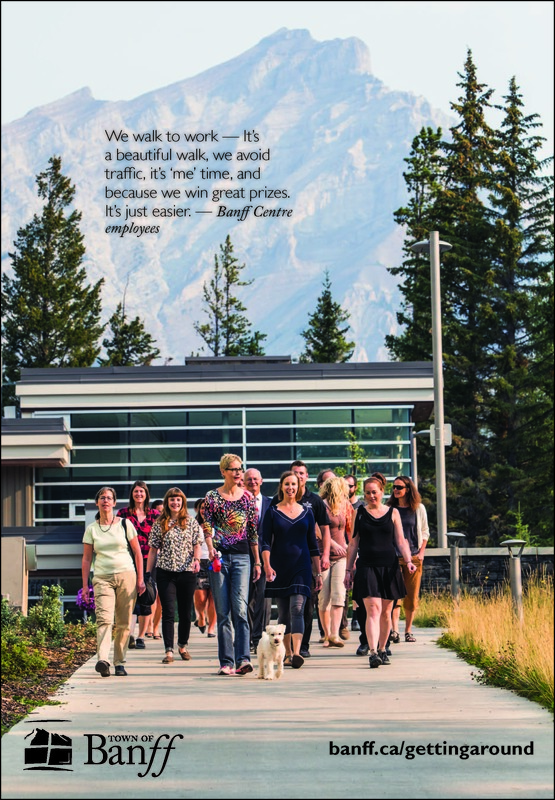 Locals like to walk and cycle everywhere, or Roam on Banff's great public transit system. or find out where you can rent a bike. 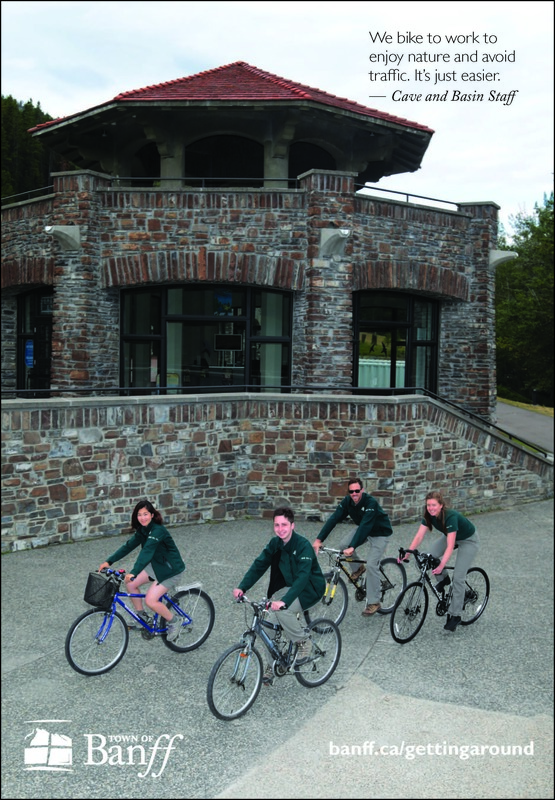 Use the Bike Fix-It Station in Central Park to pump up your tires or make minor repairs. It includes several tools securely attached to the stand with stainless steel cables and tamper-proof fasteners. Hang your bike from the arm to freely move pedals and wheels. If you need help with a repair, just scan the QR Code on the front of the station to get detailed instructions. Roam, Banff's public transit bus system gets you just about everywhere in Banff. 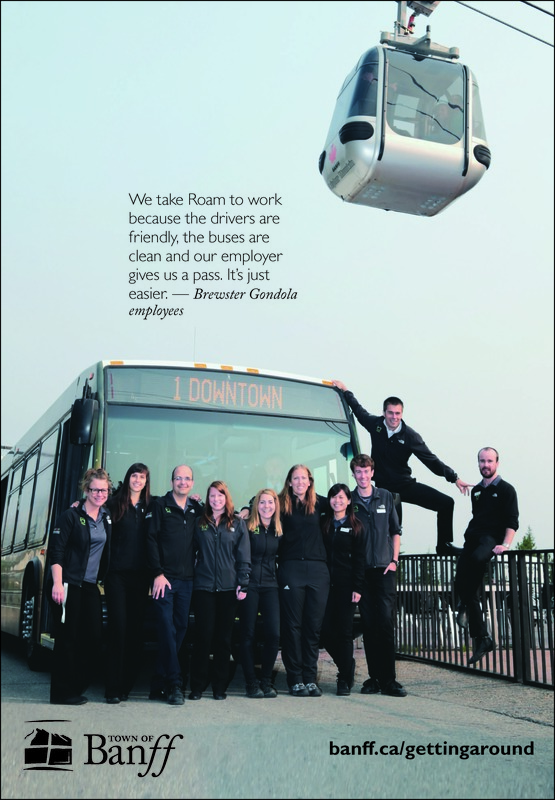 Visit Roam's website for detailed route information, schedules and fares. Head to The Fenlands parking lot for longer time limit parking in the summer. 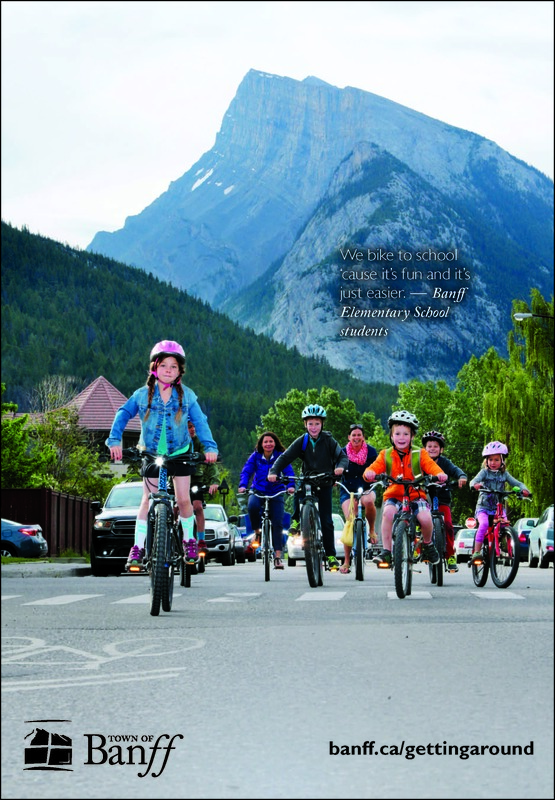 Download the Banff Parking Map (PDF) for more information on other longer-term parking locations outside the downtown core. There's limited parking for RVs in the Town of Banff. 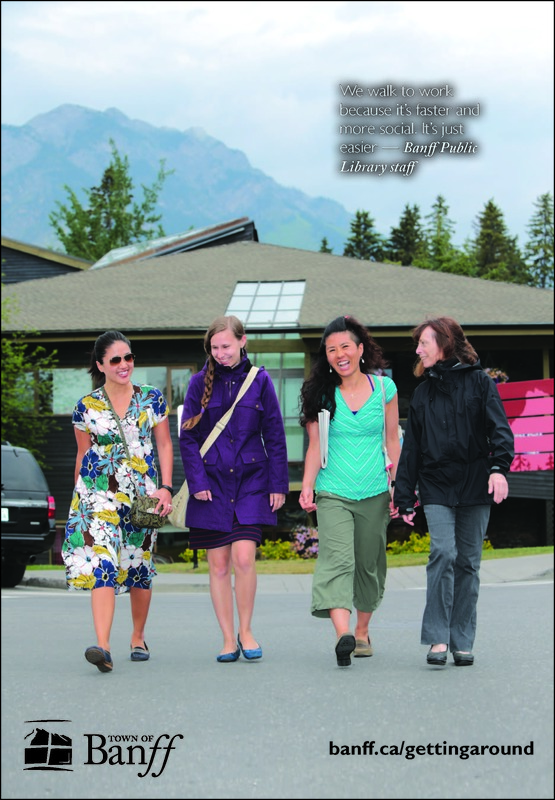 Use the RV Parking Guide (PDF) for tips on getting around Banff. 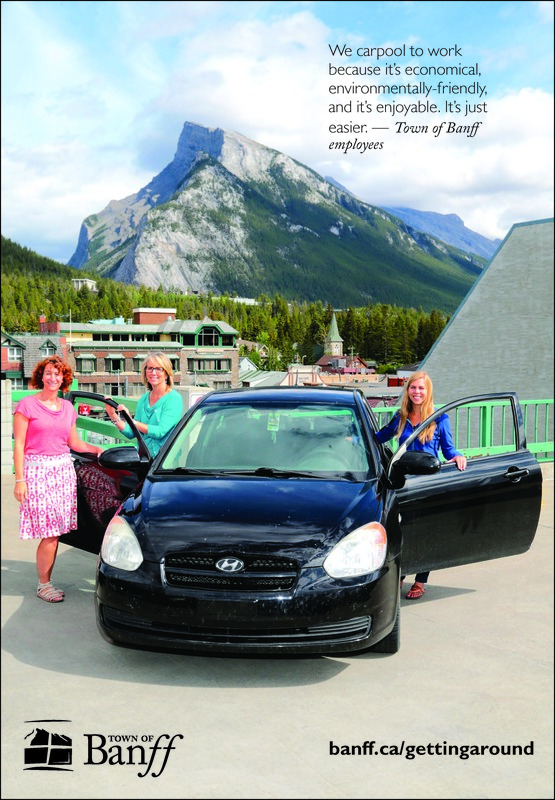 Taxis and commercial shuttles service the Banff area 24 hours a day. Get around the national park without a car. Explore the Park vehicle-free, discover hidden gems and more. 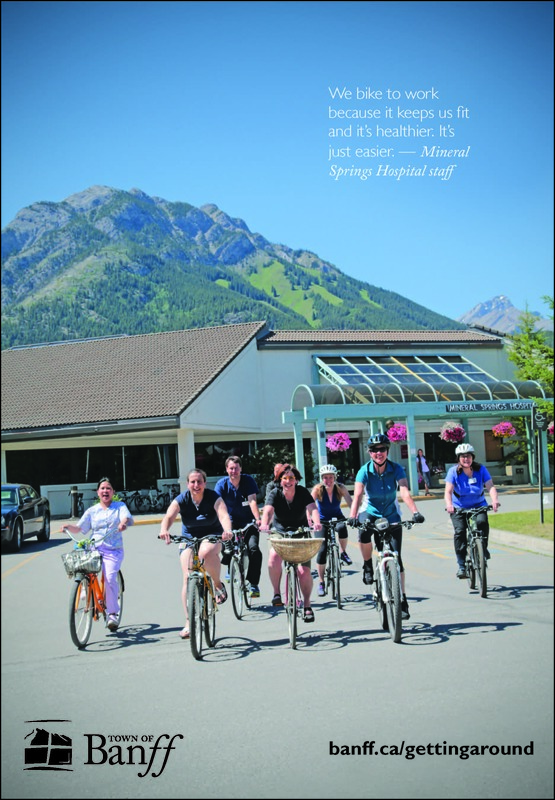 Many Banff hotels offer their guests complimentary shuttle service within the Banff townsite. Inquire with individual hotels. Throughout the winter, ski shuttle buses are available for transportation between Banff and the three ski areas - Norquay, Sunshine Village and the Lake Louise Ski Area. Locals show us why they choose to walk, bike, skateboard or take public transit to work. 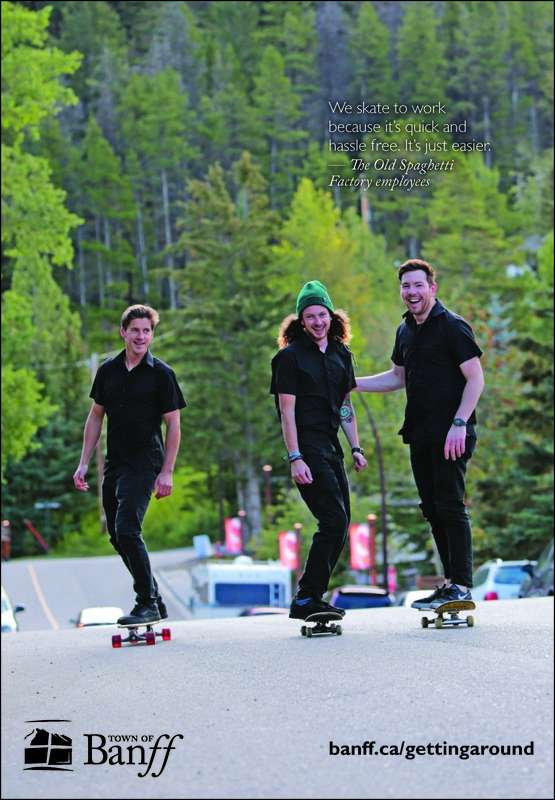 Photographer Malcolm Carmichael captured some great images of how Banff residents are using active transit to get around. For more behind the scenes footage, click on the images below or visit our YouTube page.